Publisher Prima Games has done an absolutely wonderful job putting this book together. It's a large 360-page hardcover packed with so much information that would take several sittings to go through them. 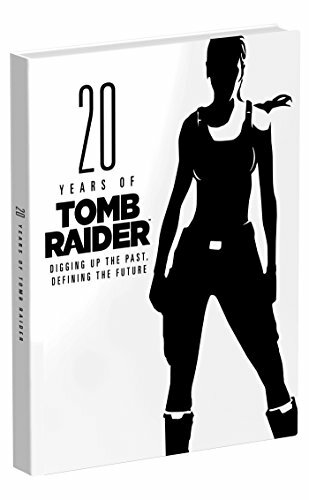 This is not an artbook, but more like an encyclopedia on all things Tomb Raider. The author Meagan Marie, fan of Tomb Raider of course, really went all the way to make this as comprehensive as possible. The book goes all the way back in history to look at how the game was conceived, designed and created. It also looks at all the individual games as they evolve, and also the games that never made it past production. There's also content on the expanded world, such as into comic books, novels, features in magazines and the Angelina Jolie movie. Almost anything related are included. Its pop culture influence, endorsements and sponsorships, music, voice actors, merchandise and close to a hundred pages are devoted to fans, such as for fan art, websites, cosplays, fan films and more. It's an incredibly insightful book that's filled with lots of photos, artworks, screenshots, and everything is well organised and beautifully presented. For the price of the book, it's really worth the money. Highly recommend to all Tomb Raider fans.